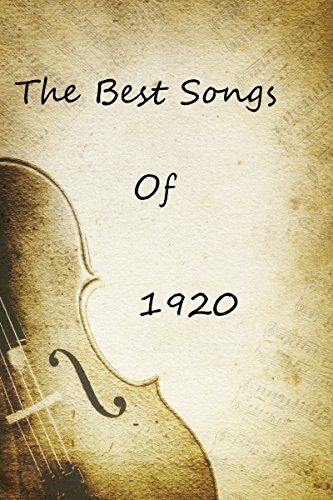 [PDF] The Best Songs Of 1920 (The Best Songs Of All Time) | Free eBooks Download - EBOOKEE! Description: This book is meant to introduce you to some of the best songs to come out in the year 1920. Hopefully, after reading about these songs and artists, you will go out and listen to them discovering new music you love in the process. While doing research for this book, I was able to discover many new tracks that have become personal favorites myself. The songs are listed in order by the artist that recorded them. To put this list together I pulled from several "Greatest songs ever" lists from varying genres, as well as my own personal preferences. 2017-12-26[PDF] The Great Book Of Best Quotes Of All Time. No comments for "[PDF] The Best Songs Of 1920 (The Best Songs Of All Time)".